While our love of salads has ebbed and flowed over the years, drifting from the classics (caesar, cobb, Greek, etc.) to the more unique (quinoa or kale-based), we keep coming back to our very favorite: salad with ranch dressing. We can’t quite put our finger on it, but there’s something about the creamy, deliciously tangy dressing that always gets us. 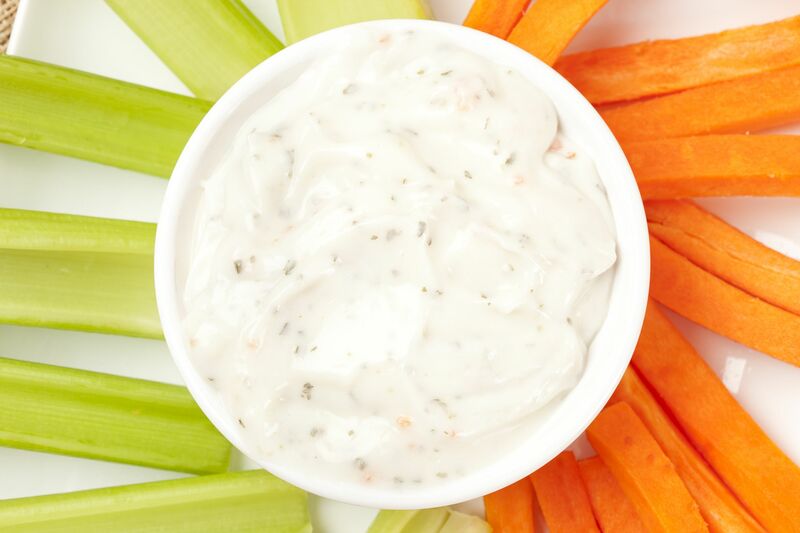 Now, for years we used store-bought ranch dressing and seasoning packets, but at some point we decided to try our hand at making our own to see what the real difference was in taste and texture. Wow. It might seem like one of those things that isn’t worth it to make yourself, but it absolutely is. Considering how easy it is to mix together a few spices, this ranch mix is incredible and we use it on everything. On chicken, in soups, spread on sandwiches…it never gets old! Try it and see for yourself – we’ll never go back to store-bought! Place dry buttermilk, 1 1/2 tablespoons parsley, garlic powder, onion powder, salt, onion flakes, 1 teaspoon dill, pepper, chives and paprika in the bowl of food processor. Pulse until ingredients are finely chopped and combined. Transfer mixture to an air-tight container and mix in remaining parsley and dill until incorporated. 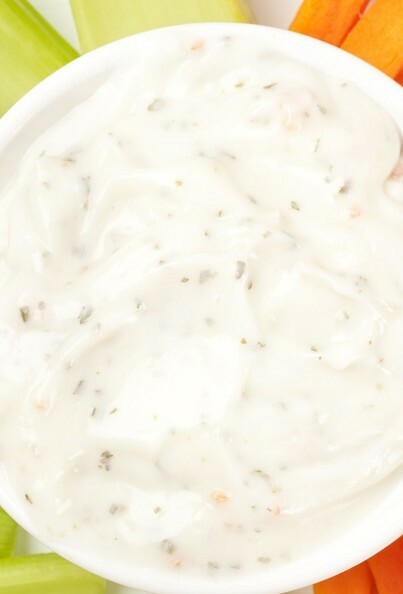 For ranch dressing: in a large bowl, combine 3 tablespoons dry mix with buttermilk, sour cream, mayonnaise and greek yogurt. Whisk together until smooth, then refrigerate 20 minutes before serving.